The Crew 2 Easter eggs locations are scattered all over the map. The challenge here is you have to look for them yourself like a treasure hunt. Fortunately, The Crew 2 has an amazing zoom in feature which allows you look at things more closely. The Crew 2’s viewing ability is almost as good as Google Earth! It can zoom in right to the street level and even peek through people’s windows. It definitely makes hunting The Crew 2 Easter eggs easier. Look at a specific rooftop in Detroit’s inner city. Next, observe closely for a black structure, a circular one which contains a familiar symbol, Pac-Man. The pie with an open mouth that seems to eat two yellow dots will be your clue! Go to the Capitol Building in Washington, D.C. Then you will see a symbol which resembles the Assassin’s Creed logo. This is pretty creative since it’s also a Ubisoft franchise. Drive through the woods of East Seattle. At this point, you will see a popular personality you might have heard of, Bigfoot. He usually roams around the Northern Cascades so you can easily find him. Take a picture of him for a souvenir. Another The Crew 2 Easter eggs location is at the Grand Canyon. Here, you can check out a UFO! Take a stop along Route 66 in a small city in Arizona called Kingman. Then look for a petrol station and peep inside its windows. Next, search for the Darth Vader and the ‘shut up and take my money’ meme of Futurama fame. 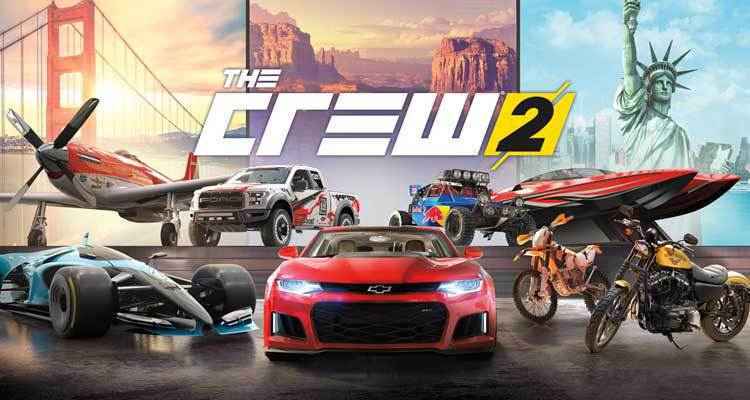 Taken from the famous Tom Hank movie, the next The Crew 2 Easter eggs place is in Los Angeles. You need to go to west of the airport and look for the “HELP” sign. Then, find your way to the only man on the island. Shout out to Captain Eggscellent for his work finding some great easter eggs. You can check them out here. Read more of our The Crew 2 game guides here.